TET ((Frank's Catnappin' x Chasing Venus) x Eenie Meenie Jellybeany) Ev. EM Re. 6 1/4" flowers, 34" scapes, 3-4 way branching with 25 buds. ART IN MOTION does seem as though it is moving in the garden! 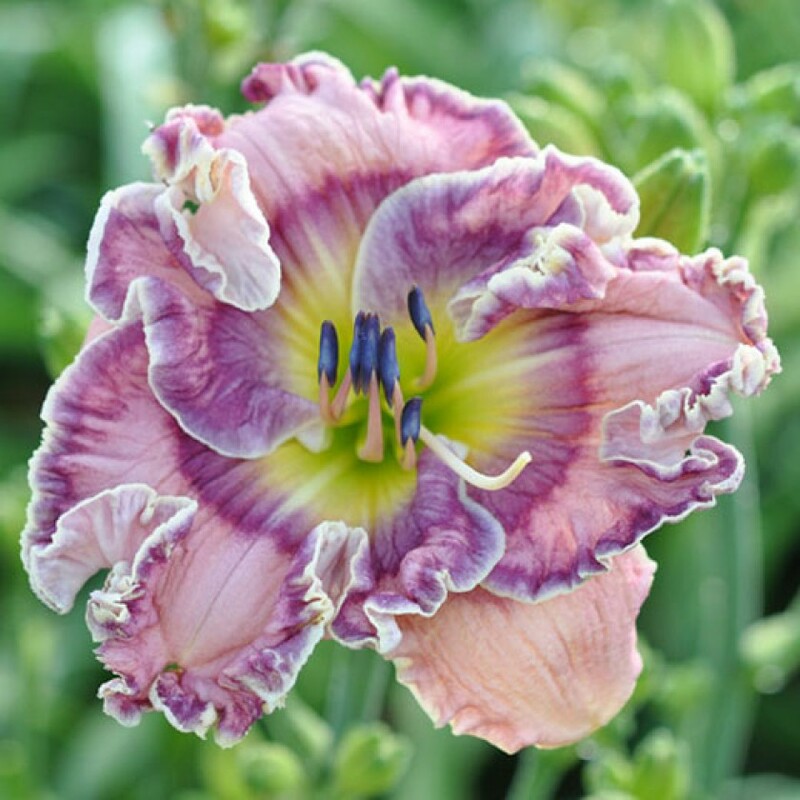 Always opening with all of its elaborate ruffles, ART IN MOTION is a great rebloomer as well. Fertile both ways.